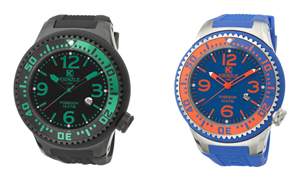 Watch company Kienzle announced a new range of Poseidon (consists of 39 different models, of which 25 – male, 14 – for women), created for lovers of marine recreation. 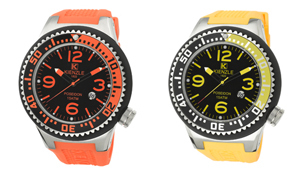 Opening with a high water resistance (can withstand water pressure at a depth of 150m) and bold colors – beach accessory that will be a wonderful addition to a bathing suit. New items are presented in stainless steel. Screw case back and crown ensure water resistance, allowing to dive into the depths of the sea, full of mysteries and puzzles.